Men's Summer and Short Socks: Style In Line With The Times. 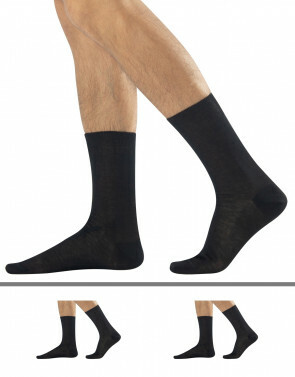 The male clothing etiquette has changed, it has been updated and has shown an opening to those garment that until recently were completely banned: short socks men’s. Whether for fashion or more simply for convenience, today more and more men love to wear men's short socks, from basic models to the more particular ones, and show them not only during sports activities, but also in everyday life, matching them to casual or more elegant trousers. Whether they are mercerised cotton socks or men's summer cotton socks, these garments are now a must in the wardrobe of the contemporary man. We at Calzitaly have created a complete collection of men's socks suitable for all occasions, from leisure to work, and special events. Mercerised Cotton Short Socks: A Detail of Daily Elegance. Our collection of men's short socks includes mid-calf socks made of high-quality mercerised cotton. The mercerised cotton short socks give an elegant and classic look and perfectly match any kind of outfit, especially business clothes, but also for more casual daily activities. Light and fine, short socks men’s in mercerised cotton are available in ribbed or plain, to satisfy every taste and trend. Thanks to their softness and lightness, the products offered are also suitable as men's summer socks, perfect to show off even when it gets hotter. Special and Colourful Men's Socks: Choose Your Style. In the men's summer socks collection Calzitaly has not thought only about the classic man who only wears elegant clothing, but also the more modern man, who loves to give a fresh, youthful and sparkling touch even to the most sober and formal outfits. 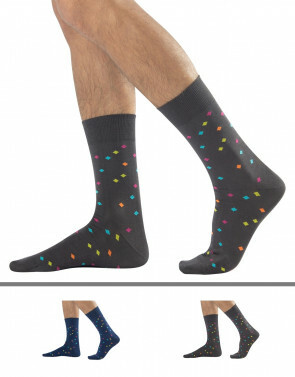 We offer men's socks made of soft cotton, characterized by a modern design and made unique by cheerful polka dots, diamond shapes, colourful strips and horizontal bands. Let them be glimpsed at under your jeans or the trousers of a stylish suit, our particular and colourful men's socks will always make you stand out in a crowd! We at Calzitaly have also thought of all those men who appreciate the vintage style. 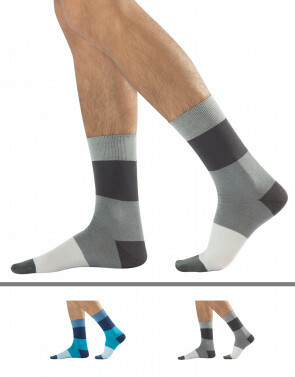 In our men's socks online line we also offer retro-design products, such as mid-calf socks with stripes, available in various colours to satisfy even the most demanding men. Different shapes for all the most varied looks: in the Calzitaly online store, you will surely find the trend that best suits your style.